Whether it’s the incomplete maths homework or the exciting award show/ sports event you want to watch, teachers know you’re faking illness to stay home when you come up with this most frequently used lame excuse. The practice is more common among the high school students and their dropping CGPA or grades make the alarm go off for the teachers because they are often held responsible for the poor performance of their students by the school management. It doesn’t matter how slyly and secretly you catch with your friends on skype or finish yet another level of candy crush, your teacher knows that you’re mentally absent in the class and it REALLY annoys them. After all who would like to waste their energies on someone who is not even interested? OK! We know this line is quiet washed-up as we all have heard it in our schools but the truth is that neither studying nor teaching a boring subject is easy so both teacher and student need to empathize with each other on this matter. Let’s just face it. 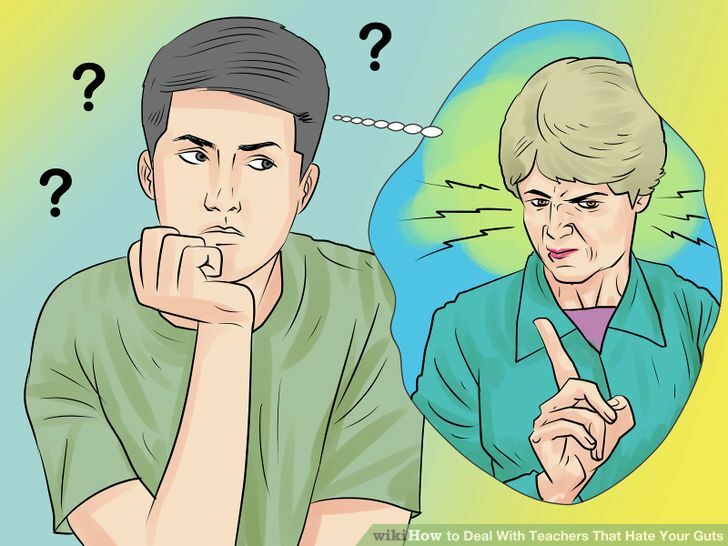 Teachers spend a good deal of time teaching and training you for an exam and nothing irritates them more than a student taking it too lightly. It makes them feel that the hours and days they spent in accomplishing the mission assigned to them by the parents and school management have gone to waste. It’s not advisable to become a nerd or geek but putting some degree of effort in preparing for an exam would definitely earn you some respect in the teacher’s sight. You may flatter yourself by associating your bad handwriting with a doctor’s profile but truth is that, the messy designs on the assignment papers are downright irritating. If you want know that how teacher feels reading those messy assignments then try walking in their shoes for once and help them read the assignments of your classmates. That would probably teach you a thing or two about self-control. Punctuality is important in school. Some teachers won’t even allow you into the classroom if you’re late and they are justified as the world will never stop and wait for you. Get in the habit of showing up early or on time. This entry was posted in Uncategorized and tagged school management software, school management system. Bookmark the permalink.